Dangal created history after it won fair and square against the historical move by government. Multiplex and single-screen owners all around the country are now expecting an end to the dry spell. Dangal was the story of the struggle of a wrestling champion, but the Aamir Khan-starrer had to face no such struggle as it knocked out demonetization out of the ring in just one week. Trade analysts said that the wrestling drama has grossed Rs 274 crore at the end of Week 1, while the net collections of the film stand at Rs 197.53 crore. The film fraternity had been nervous about business taking a hit ever since PM Modi announced the note ban but the Nitesh Tiwari film has proved that content is truly the king by becoming the first blockbuster post the November 8 announcement. Demonetisation had impacted the collections of other Bollywood biggies like Ae Dil Hai Mushkil. In fact, the film is on pace to beat the lifetime collections of Sultan, the biggest grosser of 2016, in just two weeks. Experts said that the biggest respite has come for single screens, which were hit worse by demonetisation as they depend more on cash bookings. But the success was not easy as apart from the battle against the note ban, the film had to fight other odds too, both on and off screen. The film also had to match the high expectations set by Sultan, another film that revolved around wrestling. Dangal created history after it won fair and square against the historical move by government. Multiplex and single-screen owners all around the country are now expecting an end to the dry spell after Dangal upped the sales of the market, dumping demonetisation. Mukti Gupta, owner of Mukti World, a multiplex in Kolkata, said, "Yes, Dangal surely is the first movie to be called a super hit after November 8; this surely is a stupendous success for the Bollywood industry." Critics have appreciated Dangal for its form and content and have recommended it strongly. Karan Johar went to the extent of saying that he had not seen a film as good as Dangal in a decade. "Dangal has proved that if the content is good with a remarkable storyline and most importantly, good acting, one can always earn rave reviews and standing ovation from the audience," added Mr Gupta. Owners also agreed that Aamir Khan's performance, that has been the talk of the town, has also contributed to the success of the film. "Aamir Khan - who is more commonly known as Mr. Perfectionist is also one of the prime reason for the movie's success. He is a brand in itself. His thought provoking content has dodged the song-and-dance Bollywood format," said Mukti Gupta. Another factor for the success of the film was adjudged to the spectrum of audience it catered to. Explaining the kind of audience showing up for the movie, Mukti Gupta said, "The humongous target audience stretch has also helped in setting new benchmarks - From a small child to the older generation, all can enjoy Dangal. People from all walks of life came to enjoy the film with their family and friends. Be it the corporate organisations and donors (for NGOs) all are requesting booking for Dangal - so that they can get inspired and motivated from the story line of the movie. The movie exhibits how dedication, perseverance and sincerity of a wrestler father - Mahavir Singh Phogat - leads to the victory of his own daughters Geeta Phogat and Babita Kumari." Mrinal Chandak, an Indian settled in Australia presently on an annual holiday in India said, "For me watching Dangal in an Indian theatre is one of best way of spending my holidays and beginning the new year on a high note too...setting examples on how Indian women can do wonders." Mrinal's wife, Jayshree Chandak explained, "We have come to watch the morning show because all the evening shows are housefull." 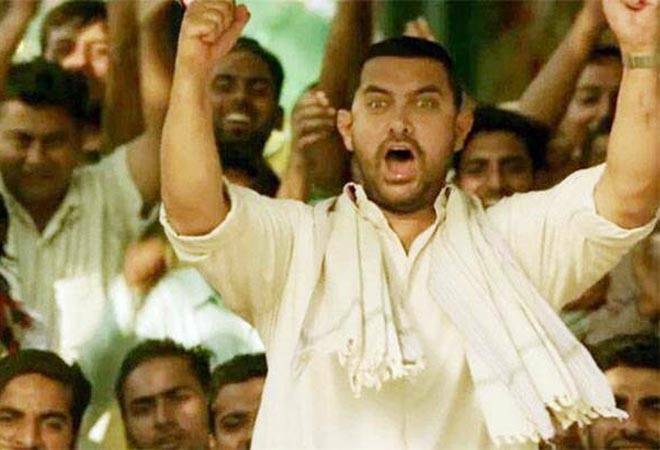 So far, Dangal has grossed Rs 239.01 crore from Indian theatres, alone.